A window to the past will not prepare Adan for what the future holds. With the Developers’ plans to reengineer the human race in disarray, this may be the one chance Adan and the Sentient renegades have of saving the desert world of the Vast. Using the chronotrace, a device capable of looking back in time, Adan discovers their next point of attack, but a window to the past can’t prepare him for what the future has in store. He will have to risk his life, his future, and everything he’s fought for if he hopes to survive. 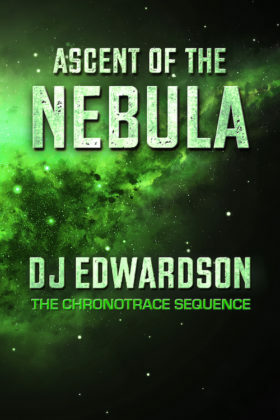 The third and final book in The Chronotrace Sequence brings the series to its thrilling conclusion as threats long thought buried are resurrected from across the vagaries of time and space. Book 3 of the ChronoTrace Sequence series.